Today if you buy a garage door opener you will also need a few extra accessories with it. You can make your garage door opener more efficient using these accessories. Whenever you install or purchase a new garage door opener, you will notice that the manufacturer separately sells internet gateway for that particular model. The internet gateway is a device which enables you to connect garage door opener brands to the app on your Smartphone via the internet. Almost every Wifi enabled garage door opener needs an internet gateway for proper functioning. When you search the market, you will find many brands of garage door openers you should always buy the best garage door opener for the money. LiftMaster is one of the brands which are the best when it comes to saving money. The internet gateway which you require is also not very expensive. The internet gateway which you rewire to use with various models of LiftMaster is 828lm internet gateway. Make sure that you read a few well-researched 828LM Garage door opener reviews such as this to make an easy buying decision. 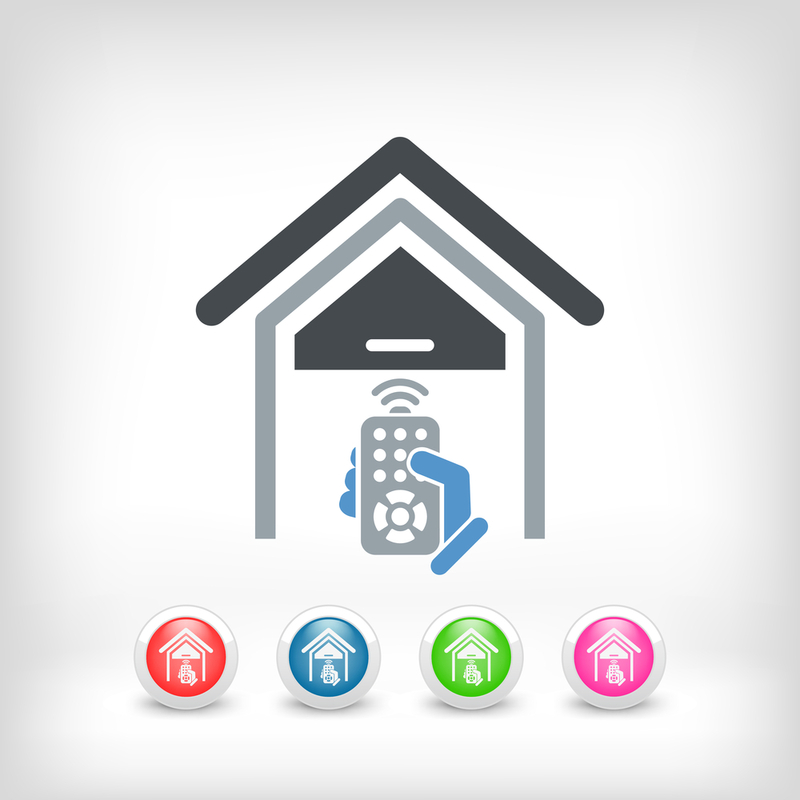 The design of a connectivity device such as an internet gateway to control garage door openers plays a great part in using it. If the design is good, everything in the unit will have labels. This device is compact and is easy to use. The body of this Liftmaster internet gateway is all plastic. The design is simple and allows you to set up easily. You can easily handle the device in one hand. On the top, there are three lights blue, yellow, and green LEDs to indicate the connection. On one side you will find the Ethernet and power port. The top also has the MYQ logo and the name. On the bottom of the device, you will find some necessary information which you will need to set up the connection. You can find the registration serial to create an account on the website and connect the devices. The device comes with the internet cable and the power cable. The light scheme on the device is very useful. When you set up this device, it will start indicating the current mode with the lights. The LEDs are a very helpful feature when you set up the unit. For example, when you set it up and it shows flashing green light it means that there is no IP address. If the green light is off, it means that your router is not working properly. If the green light is solid, it means everything is good, and you are ready to set it up with the MYQ enable devices. With the blue light on it means that you have one device connected to the internet gateway. One of the useful features that you will find necessary is the yellow light. The yellow light indicates that the gateway is adding a new device or is in the learn mode. With the help of MYQ Technology, you can use this device in two-way communication. It works perfectly in sync with garage door wifi. This device works great with almost every Liftmaster garage door openers. The best part is that you can control or connect 16 devices using this internet gateway. Connecting the device with the Smartphone using the MYQ app is also very easy. The MYQ internet gateway by LiftMaster has an easy to read manually. You can follow the instructions easily and connect even if you do not have any expertise in networking. You can connect it to LiftMaster 8500, 8550, 8557, 8587, 8355, and 8360 Garage Door Openers. It also connects the LiftMaster CSW24V, CSL24V, and LA500 Gate Operators. It also connects to the LiftMaster 888LM MyQ Control Panel, 825LM Remote Light, and 823LM Remote Light Switch. To control the affordable garage door openers using your Smartphone you must have an internet gateway. The LiftMaster 828LM Internet Gateway works great on almost every Android and iOS Smartphone. This internet gateway provides a fast and reliable way to connect the gateway wire net and control the garage doors. This device is also quite fast regarding processing. Using LiftMaster 828LM internet gateway you can control the garage door from anywhere. The gateway works only with the LiftMaster MYQ enabled devices and garage door openers. It will not work for any garage door. The device also works only with a few select Android tablets. So, if you have a tablet, it may not work on it. You will have to see the compatibility on the manual or the website. Another thing which you should know is that this device works only for sectional doors. You can only control sectional doors using the gateway. If you have any other type of garage door, you will have to buy another model of the internet gateway. If you want an internet gateway which is cheap and easy to set up, you should get your hands on LiftMaster 828LM. LiftMaster is one of the best manufacturers of the cheap garage door opener and related devices. To control the garage door opener using your Smartphone you will need to set up the device with the internet, and for that, you need an internet gateway. There are many garage door internet gateways available on the market, the best and the most reliable is the LiftMaster 828LM Internet Gateway. It is a very handy device as it controls and connects to 16 devices at a time. It is a great device if you have sectional garage doors. The reason is that it only works with these garage doors and no other. If you have any other type of garage door, you should buy some other device.